One of the many items that a restaurant cannot do without is refrigeration. Refrigerators and freezers are needed to cool everything from beverages, to meats, to desserts, and much more. They are an absolute necessity. Perhaps you’re opening a restaurant and are on the search for refrigeration at a reasonable price? If so, it’s highly recommended that you buy a used refrigerator. Wondering what types of used refrigerators are available? Here are 6 types of used refrigerators in Evergreen Park, Illinois. One of the best ways to sell food is to physically present it to your customers. Just seeing a slice of pie or a bowl of ice cream can trigger a customer’s hunger, which can be enough to convince them to try it. How do you present foods to customers while also keeping them cold? By using a refrigerated or frozen display case. Fortunately, these display cases can be bought used, allowing you to get your hands on one for a relatively low price. 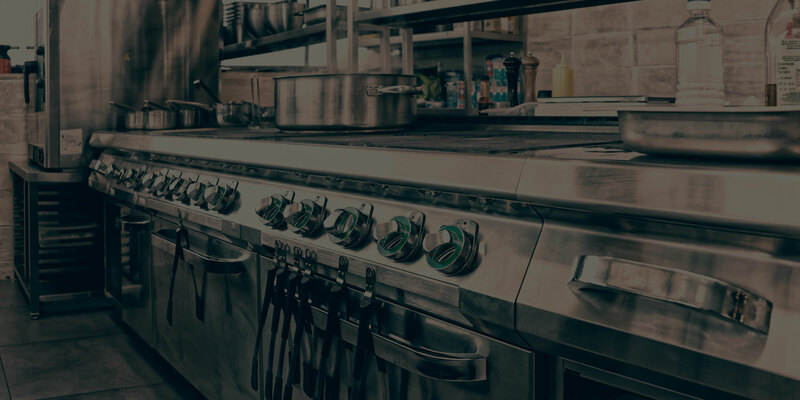 If your restaurant has a need to freeze or refrigerate a great deal of food at once, you need to have as many freezers and refrigerators around as possible. The problem with this, of course, is that it can be difficult to have so many freezers and refrigerators in your kitchen without causing clutter. This is where undercounter refrigerators come in. These refrigerators are located directly under countertops, allowing them to cool items without taking up a great deal of space; and when bought used, they can be purchased affordably. Upright refrigerators are great refrigerators to have if you need to store and cool many items throughout the day. These refrigerators are often located next to work tables and will sometimes even possess wheels so that they can be rolled from place to place. Like undercounter refrigerators and cooled display cases, upright refrigerators can be bought used. As long as they’re refurbished and fixed up to a satisfactory condition, they will still thrive. If your restaurant has a bar of some kind, it will almost certainly require a bar refrigerator. Bar refrigerators are small refrigerators which are placed below bars, and which are typically used to cool beer. They allow bartenders and servers to conveniently get their hands on beverages. Looking to buy one for cheap? Fortunately, there are plenty of used models for you to choose from. You may or may not have heard of lettuce crispers. These are refrigerated devices which hold in water vapor in order to keep lettuce and other leafy greens fresh and moisturized. If your restaurant serves a great deal of leafy greens, a crisper could be of utmost importance. Fortunately, you can buy one used for a fairly affordable price. 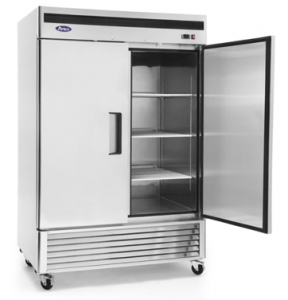 While your restaurant might necessitate a giant, vault-like freezer, it might instead be able to get by with a deep freezer. Deep freezers aren’t as large as walk-in freezers, but they are still capable of storing and cooling a great deal of food. Though these freezers can be fairly expensive, you can save money on them if you buy them used. Are you looking to invest in used refrigerators in Evergreen Park? If so, we here at March Quality have everything you need. We sell a variety of used refrigerators, all of which have been refurbished to operate like brand new. Whether you need a deep freezer, a bar refrigerator, an undercounter refrigerator, or otherwise, we are the people to see.